This series of French Theme Days, by La Jolie Ronde, is a brand new and unique set of resources that enable the entire school to join in a fun and worthwhile language-learning activity. There are no specialist language skills required plus the work is already planned and prepared by age group, giving all teachers across the school support to provide a complete day's work. Each theme starts with an assembly which brings all pupils together to introduce the topic, the children then return at the end of the day to share their successes and showcase their developing language skills. 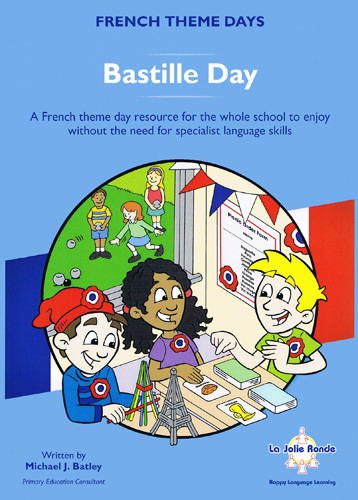 French Theme Days - Bastille Day is a suitable resource for a non-specialist teacher and has been developed to use with the whole primary school (ages 5 - 11).